So I’m feeling a little sorry for myself, I woke up without my voice, it’s finally given in and stopped working completely, my throat is so sore and my glands are really swollen and my ears are all blocked up too… boo hoo :( The thing is it’s our first wedding anniversary tomorrow and we had so much planned! 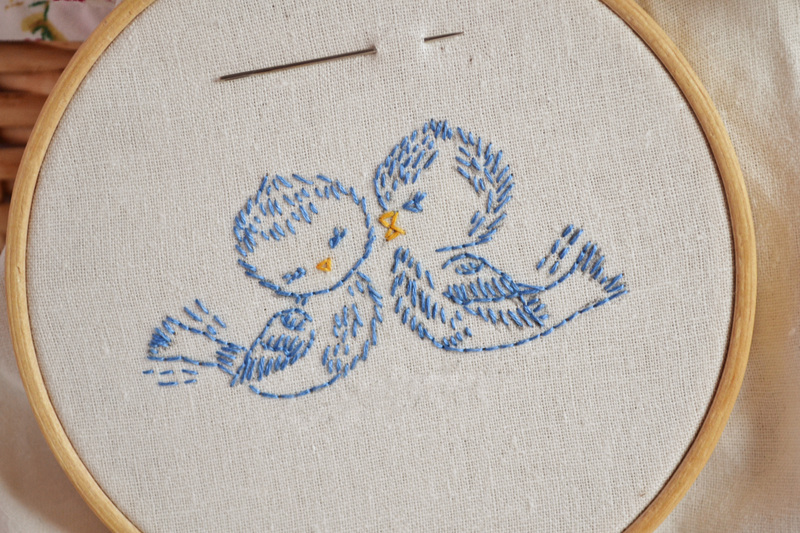 But anyway enough of the self pity.. I’ve really caught the embroidery bug! I’ve been browsing patterns on Pinterest and I have to say I’ve become a little obsessed with the vintage patterns, and now I’ve worked out how to download and print off there will be no stopping me! I have quite a few ideas for little projects for around the home. 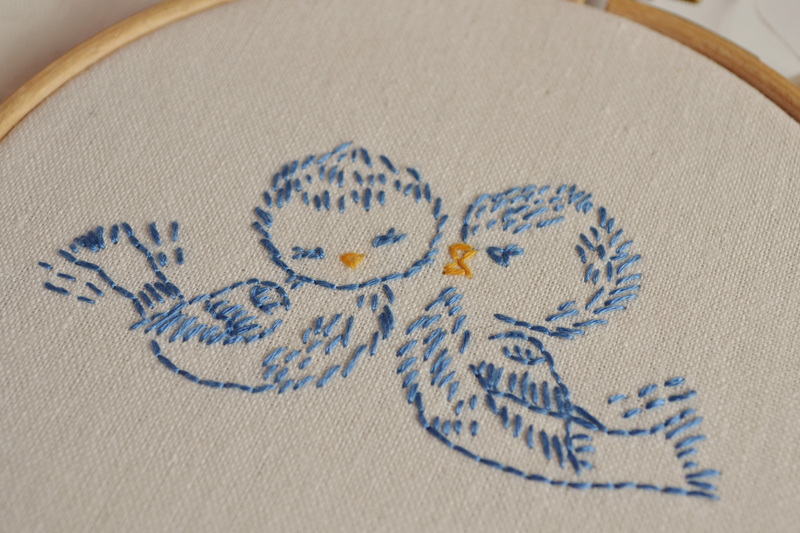 These little blue birds were my first pattern to print off, I just couldn’t resist them! 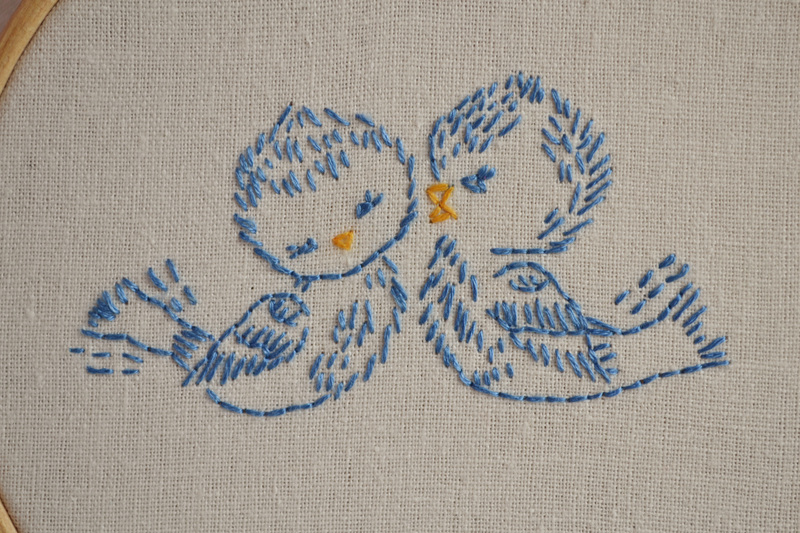 But I am in love with these little birds, you can see the pattern here. 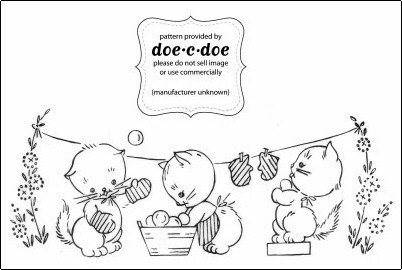 This is the next pattern I want to stitch next, I want to make a peg bag and this is what will be on the front. I will of course share my progress.